All motor vehicles that run on Indian roads should be registered with nearby Regional Transport Office (RTO) . Nowadays Indian government announced that , the dealer or seller who sell the motor bike or four wheeler should themselve do the registration process , in prior to the delivery to the customer. So, when you buy a motor vehicle, then it comes with registration number in a standard format which consists of Regsitration code and Vehicle registration number. Registration code is based on which RTO , the vehicle is registered. 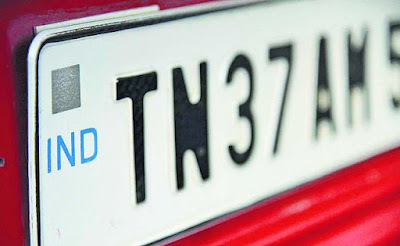 The following list contains the latest updated list , of tamil nadu registration code for motor vehicles.